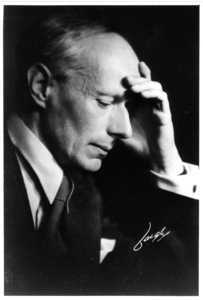 F. L. Lucas (1894-1967), Fellow of King's College, Cambridge, was a distinguished scholar known for his studies of the classics as well as of English literature. The Sunday Times wrote that "Lucas has distinguished himself in more than thirty volumes as a poet, a novelist, a translator, a biographer, a critic and an editor. He is entitled to write about style because he writes with style." 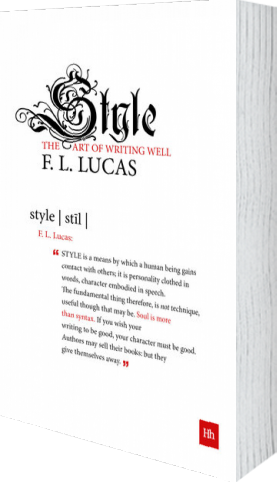 "The best book on the art of writing that I know is F. L. Lucas's Style"
Lost for almost forty years, Style has acquired the status of a legend. Loved by some of the greatest modern authors and acclaimed by critics, this guide to recognising and writing stylish prose was written by a Cambridge don and veteran of Bletchley Park. Imbued with a lifetime of wit and wisdom, it retains its power today. 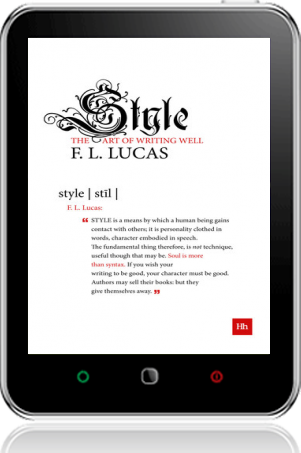 Writing forcefully and persuasively has never mattered so much - and Style is the perfect guide for the busy, the ambitious, and the creative. 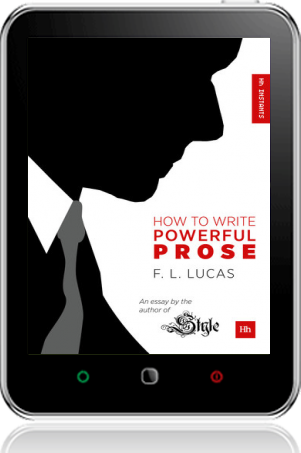 With unique authority and good humour, F. L. Lucas takes us through his ten points of effective prose style and provides a tour of some of the best (and worst) that has been written in a number of languages and literatures. Wry, perceptive and rich in quotation and anecdote, the book reads like a personal conversation on the art of writing well - with a master of the art.